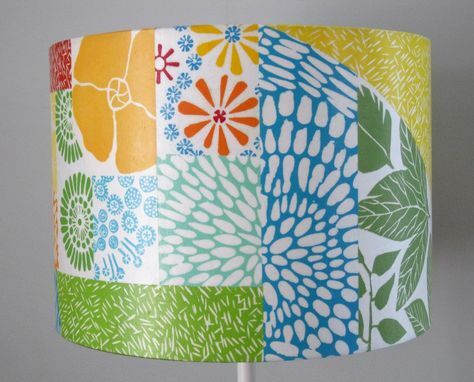 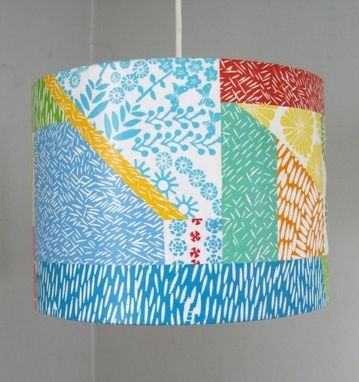 This lamp shade is made from a selection of my hand printed and hand stamped papers. 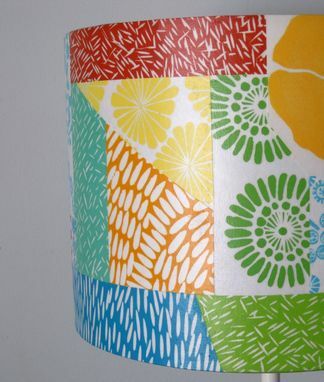 Each paper is either hand printed or hand stamped by me from a hand carved woodblock or stamp. 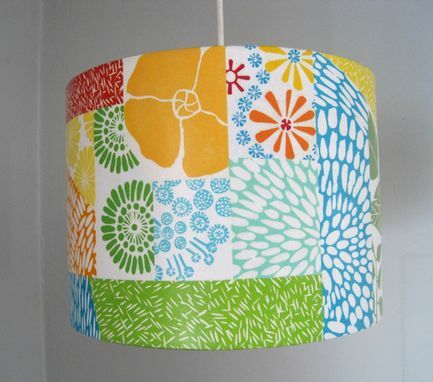 I collaged the papers onto styrene(a lamp shade backing) and sealed the shade. This lampshade adds a great splash of color to any room! 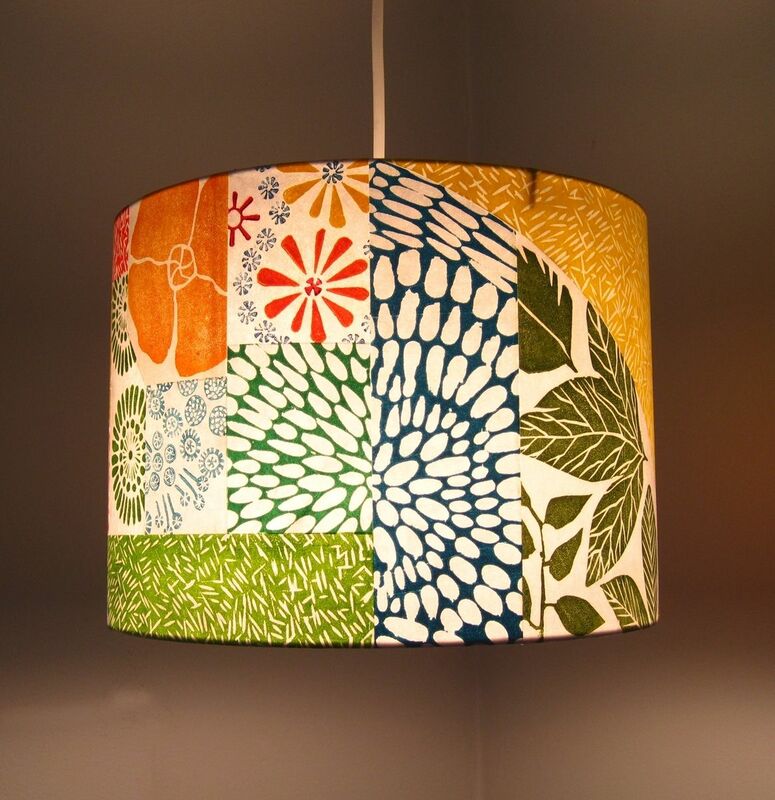 This is a great shade for hanging or on a small table lamp.